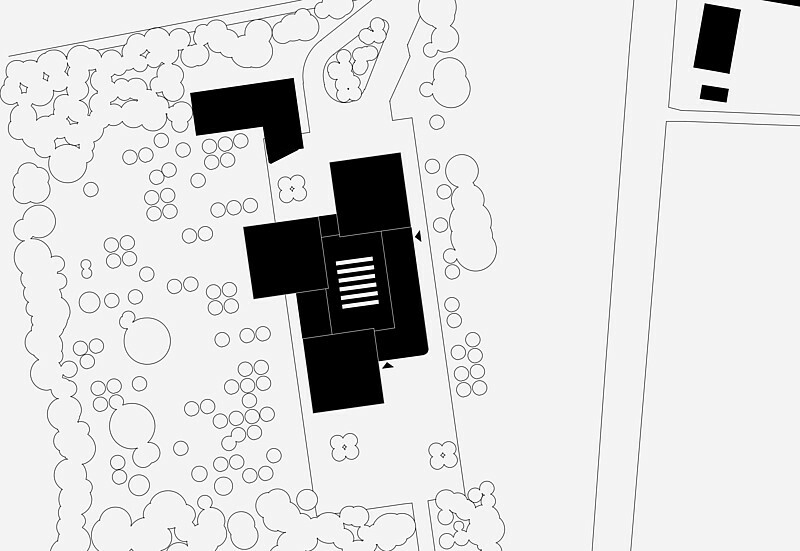 Our design strengthens the genius loci that resides in the allure of the forest clearing. 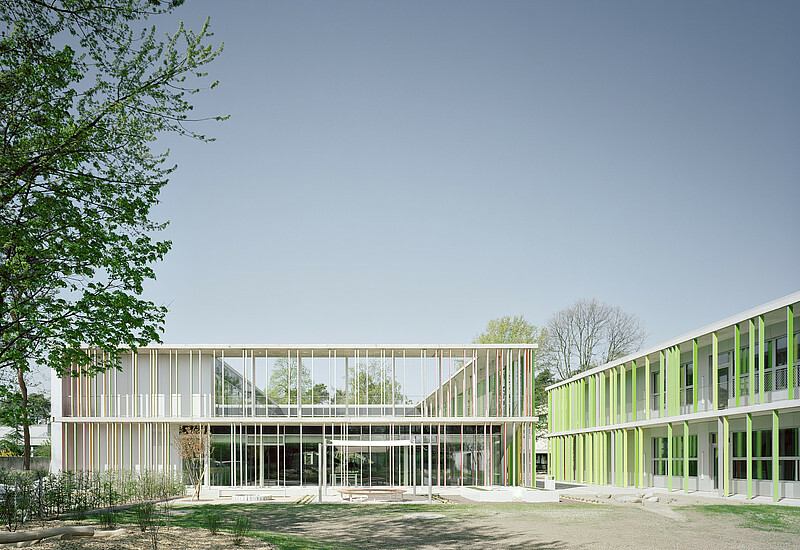 The serenely designed pavilions are clearly discernible as such and conform to the educational concept of creating individual houses for the different grades and offering an »open learning« approach within learning clusters. 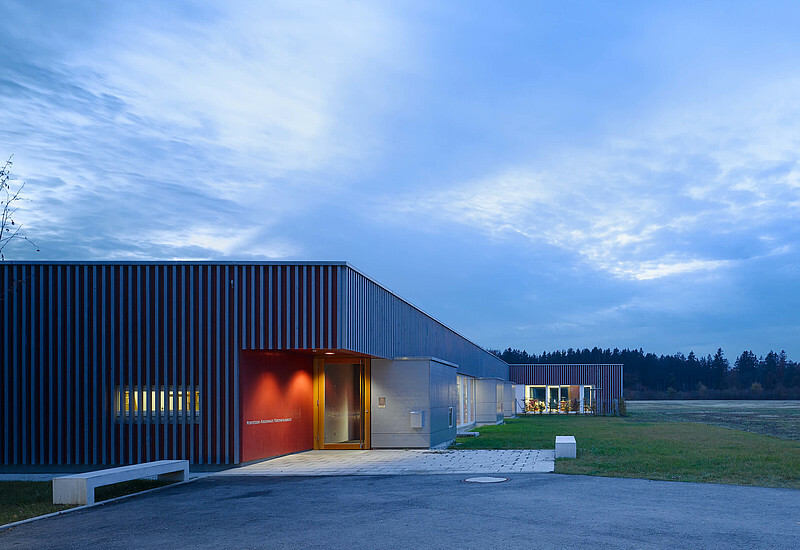 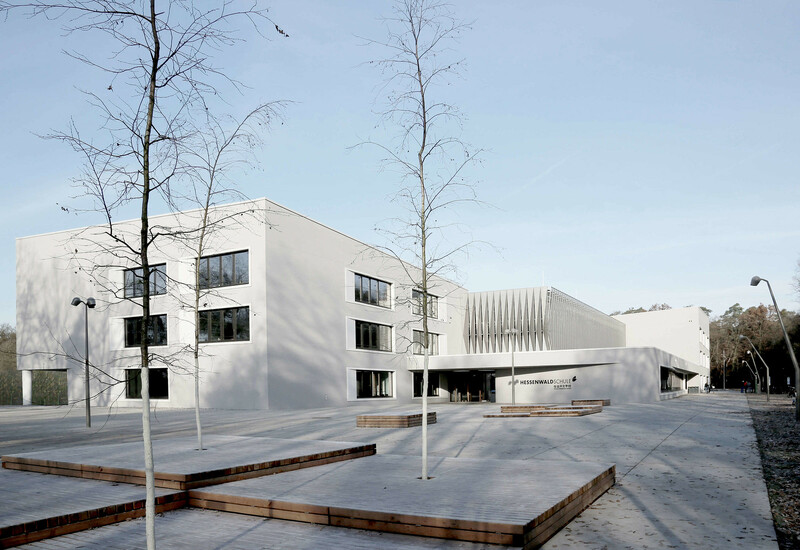 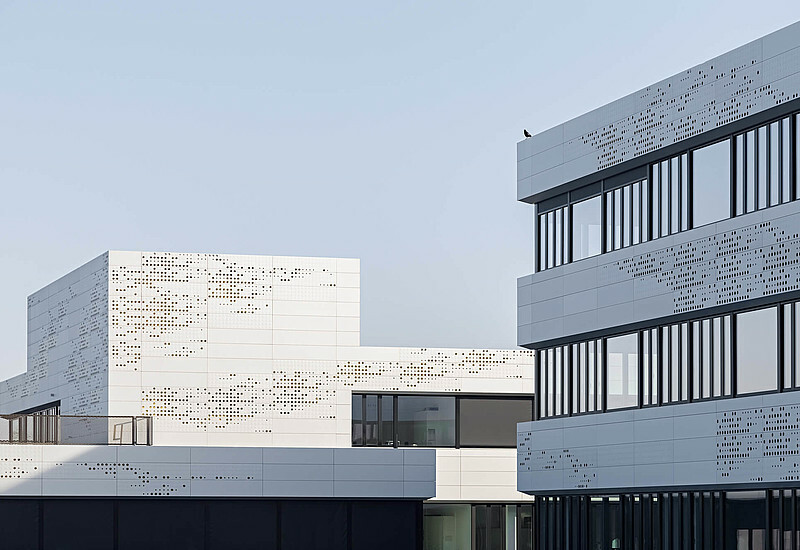 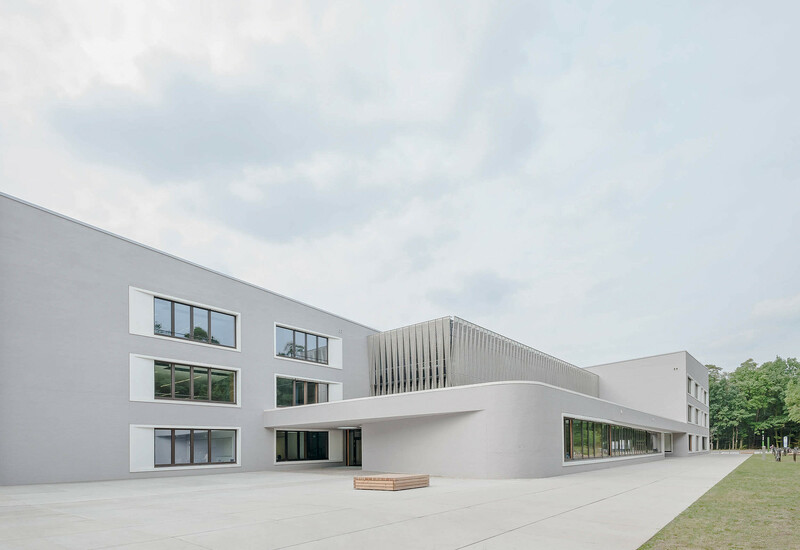 The Hessenwald School is distinguished by its facades, which are made of exposed masonry coated with a light-gray whitewash and punctuated by large horizontal window openings set within deep reveals. 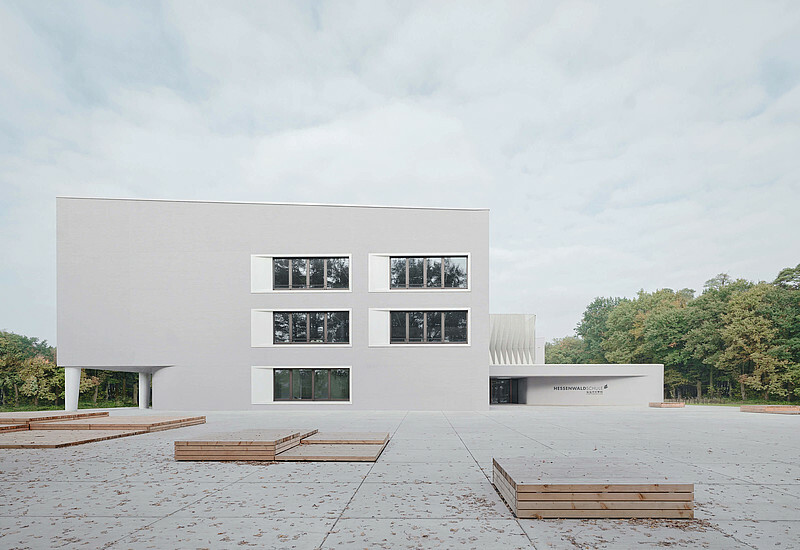 The Hessenwald School is located in a clearing in the woods near the village of Gräfenhausen, a district of Weiterstadt (Darmstadt). 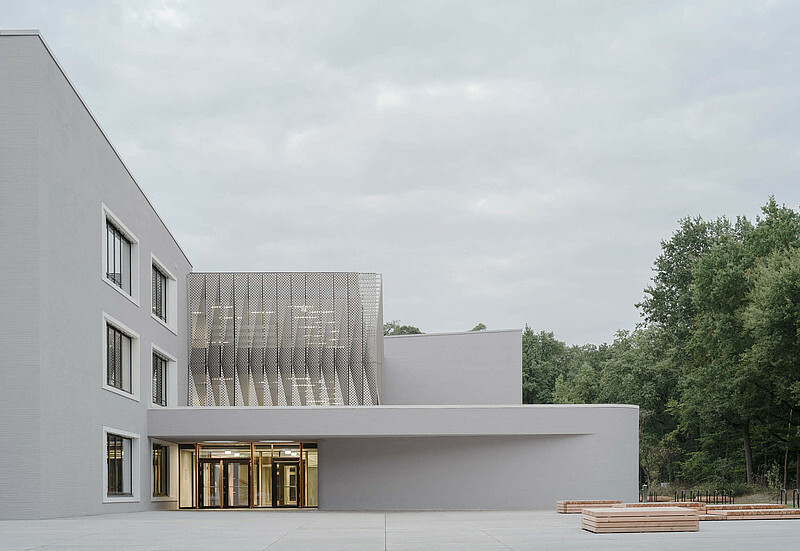 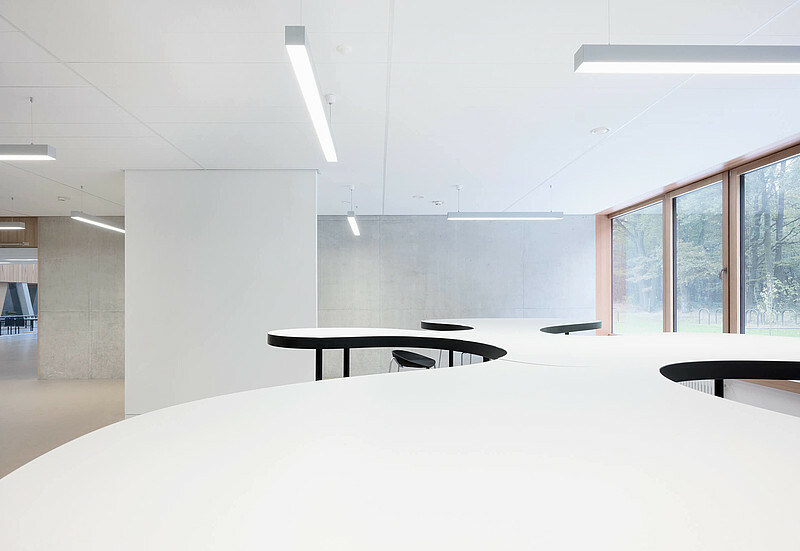 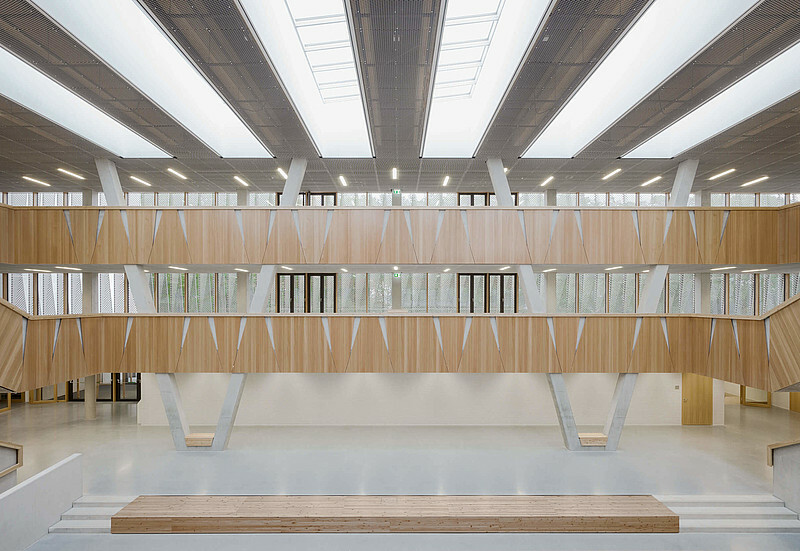 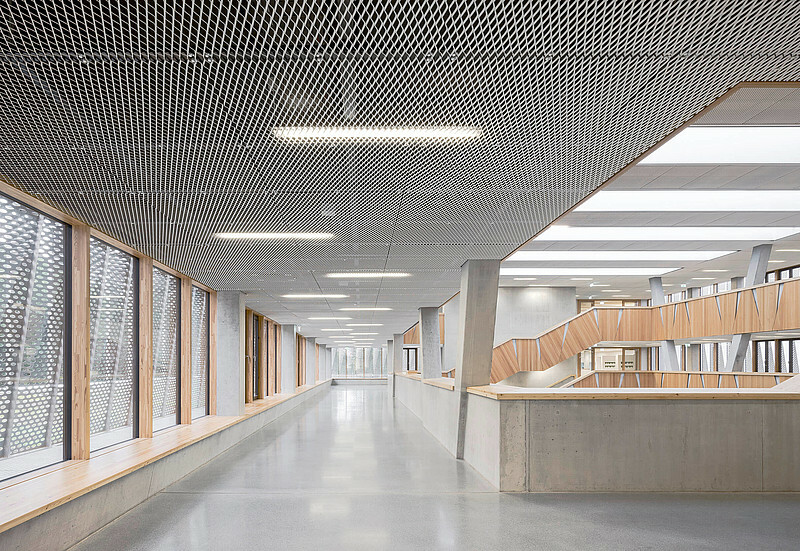 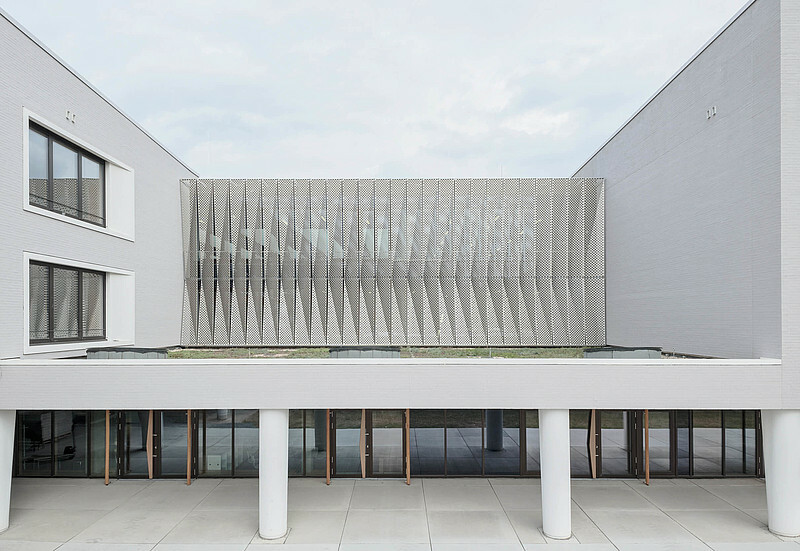 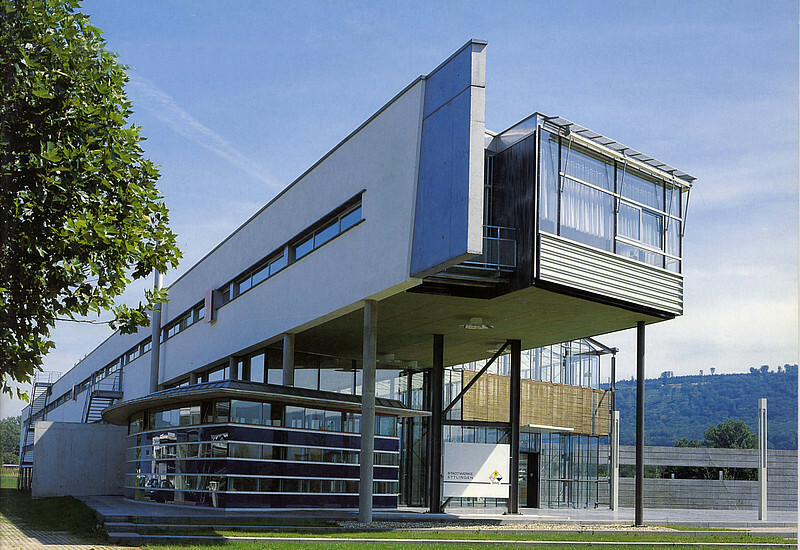 The new building is a cooperative comprehensive school for approximately 700 students and is subdivided into three pavilion-like elements grouped around a common center. 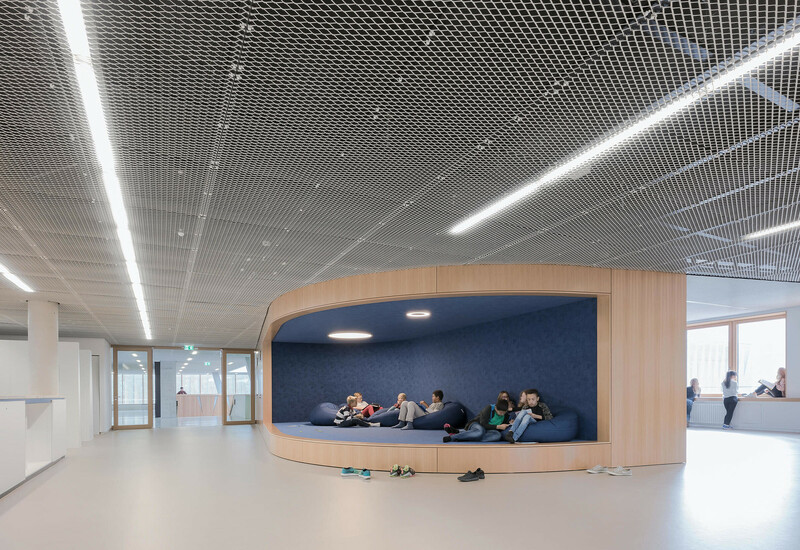 At the heart of the newly created ensemble are the communal areas, such as the auditorium, music room, and an indoor recreation area, which have been designed as a large »public center«. 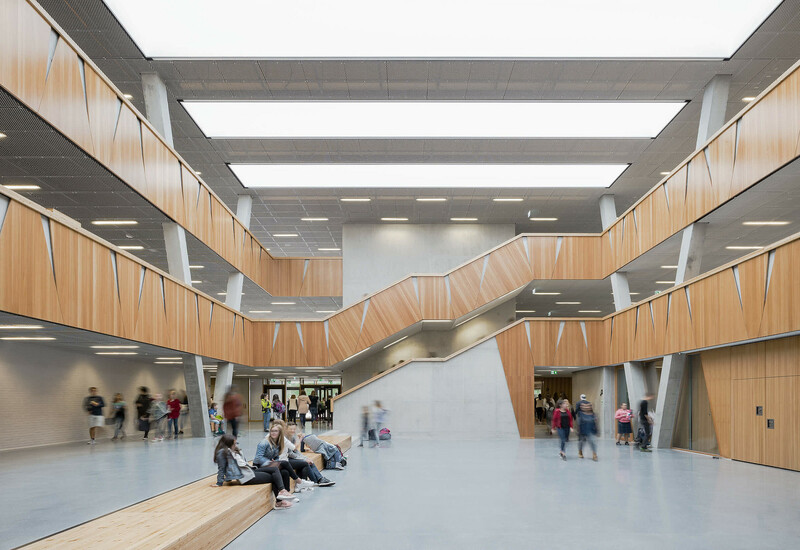 Grouped around this light-flooded, central hall are the pavilions, which establish a sense of individuality and identity for the respective grades.